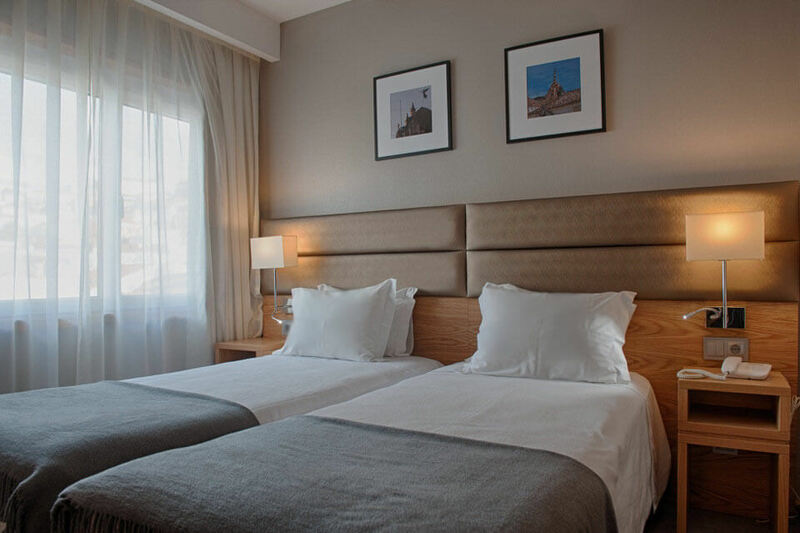 The Hotel Oslo Coimbra is proud to offer comfortable, modern, well stocked, clean and updated hotel rooms, featuring quality materials and fabrics. 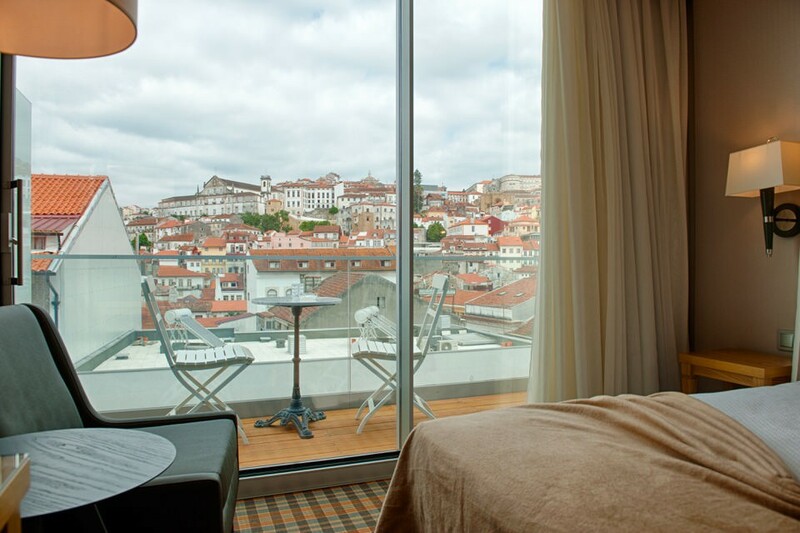 Many of the rooms feature a breathtaking view over Coimbra Historical Downtown District and University Coimbra. The decor is modern and the walls are adorned with beautiful pictures of Coimbra. air conditioning, telephone, satellite television, individual safe, bathroom with hair-dryer, double-glazing and free Wireless Internet. Hotel Oslo-Coimbra Superior Rooms feature large floor to ceiling windows and balconies with a priceless view over the Old Downtown Coimbra. These guest rooms offer a high level of comfort and are equipped with a large Double Bed, large bathroom and large 37″ LCD televisions, along with all the amenities and services of our hotel in Coimbra. 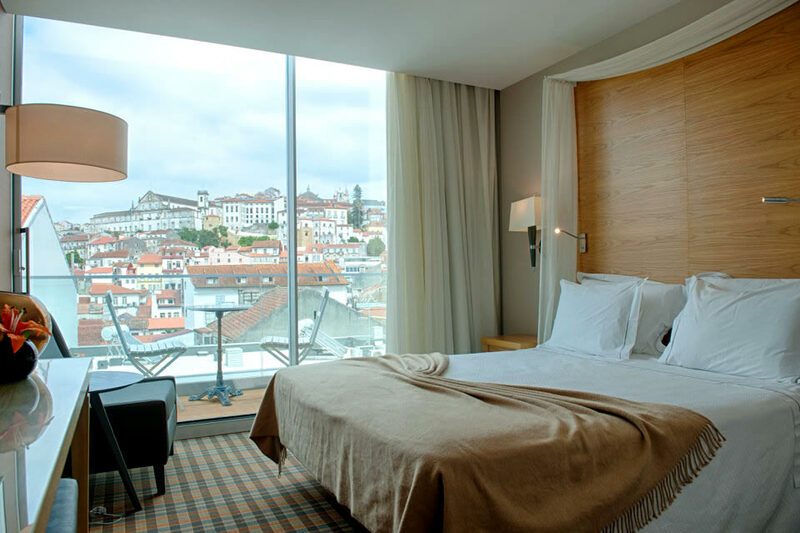 At Hotel Oslo Coimbra, Standard Hotel Rooms feature either a king-size bed, a queen-size bed or two twin beds. They are stylish, clean, cozy and come at a great price. Some of the rooms enjoy breathtaking views of the old town of Coimbra, others face the back court-yard and are extra quiet. They are equipped with all the amenities of our standard hotel rooms. Everything you need is here at this Coimbra accommodation. Comfortably accommodating families on vacation to Coimbra, Portugal is one of our goals at Hotel Oslo. Families who stay with Hotel Oslo have two choices of rooms sized for a family. These two hotel room options are ‘Family Rooms’ and “Triple Rooms”. We suggest smalller families book what is known at the hotel as Triple Rooms – these are great for small families. Hotel Oslo Family Rooms are even better, perfect for travelling with older children or with 2 or more young-ones. Cribs are free and there are safe highchairs for breakfast. Read our tips on family holidays in Coimbra. Great location, a roof-top bar or free parking are important factors when choosing among hotels in Coimbra, but if you can’t sleep you won’t be able to enjoy any of that. Hotel pillows may be a tricky subject, they will rarely be like the one you have at home, either too hard, soft, flat or fluffy. This is why we offer a pillow menu, catering to all tastes. At Hotel Oslo-Coimbra, we love animals and we know pets are part of the family, our staff’s welcoming smile and this hotel’s wonderful location in Coimbra, Portugal wouldn’t feel the same without your special furry friend, so bring your pet along to enjoy your holidays in Coimbra. Let us know beforehand and we will book a special room where your pet will feel as comfortable as you! Extra-charge of only 20.00 euros per night. Maximum of 1 pet up to 10kg per room.